Happy Friday Tampa Bay, Alex here to let you know about a golf fundraiser and open house taking place at Crescent Oaks Country Club this January. On Saturday, January 21 at 3 p.m., Jamie Farr, M*A*S*H star, is hosting a 9-Hole Golf Scramble and Dinner to benefit the Pinellas County Sheriff’s Police Athletic League (PAL) at the Crescent Oaks Country Club in Tarpon Springs. The event is by donation, and 100% of the contributions benefit the Pinellas Sheriff’s Police Athletic League. Farr will also be hosting a public Open House and Golf Equipment Demo Day from 10a.m. to 3p.m. on Jan. 21. Guest will be able test all the latest golf equipment from Titleist, Taylor Made, Nike, Cleveland, and Callaway and win over $2,000 in prizes such as golf memberships, rounds of golf, golf equipment and restaurant gift certificates in hourly drawings and putting contests. No purchase is required, and the event is free. As part of the Open House event, Crescent Oaks Country Club will also be showcasing area businesses and its newly remodeled Clubhouse, Banquet Events Center, new Fitness Center, Tennis Facility, and Restaurant, which are now open to the public for the first time in the club’s 21 year history. PAL provides the youth of Pinellas County alternatives to violence, gang involvement and substance abuse through community service and sports programs, education and recreation. Crescent Oaks Country Club is underwriting all costs of the event, and Jamie Farr is donating his sponsorship. 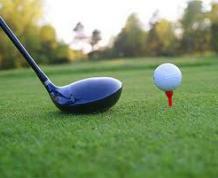 Enjoy a fun game of golf for a great cause! If you are interested in registering to participate in this fundraiser, call (727) 937-4653. The Crescent Oaks Country Club is located at 3300 Crescent Oaks Boulevard in Tarpon Springs, off Eastlake Road a mile north of Tarpon (Keystone) Avenue. I hope you have a wondeful weekend. Check back with us often for more information on Things To Do In Tampa Bay and for information on Tampa Bay Sports.